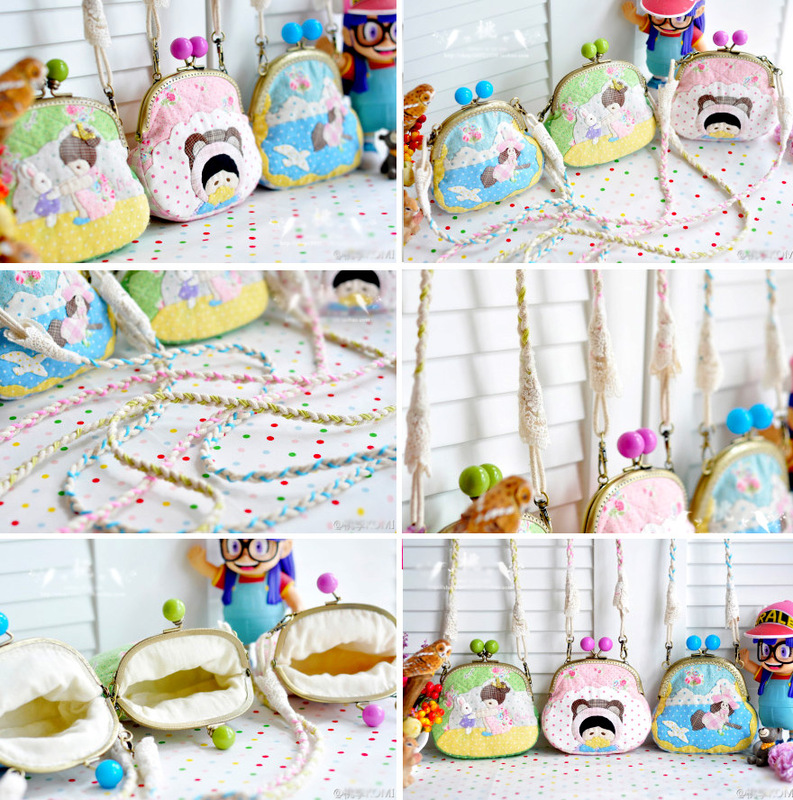 Three-pieces Frame Bag Tutorial ~ DIY Tutorial Ideas! 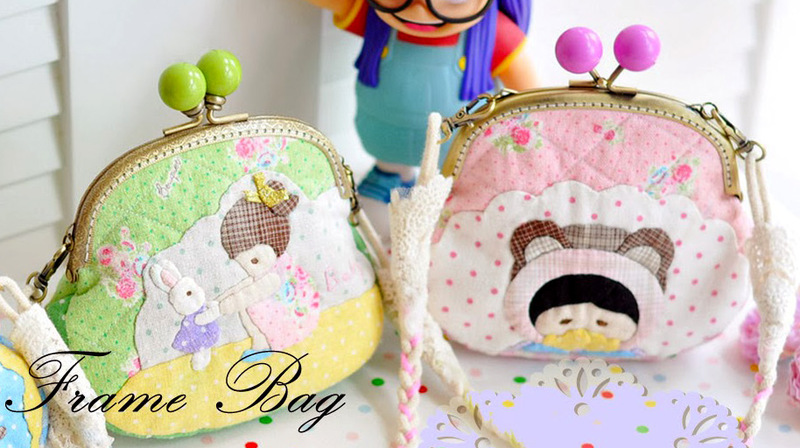 Frame Purse Bag Sewing Tutorial. Step by step DIY. 12.5cm frame, surface fabric, backing fabric, batting, vanishing fabric marker,scissors, thread, pattern. 1. Draw the shape on the wrong sides of the surface fabric and backing fabric according to the pattern, leave the seams. 2. Make the surface part: iron the batting on the wrong side of the surface fabric, and then quilt. 3. Cut the small pieces of fabric accoring to the pattern, and then cut the notches. 4. Рatch the pieces of fabric as the order shown on pattern (draw the shape on backing fabric and small pieces). You can leave the overlapping part. Use hand plain stitch. 5. After patched, mark the center of front piece, back piece and bottom piece. Face to face as shown. Sew from the center to the ends. Sew another side with the same method. 6. The surface piece with notches is finished, to be used later. 7. Make the inner part. 8. The same with the 6th step. 9. Leave about 6cm not sew on another side. 10. The view of two sides after sewed. 11. As shown, put surface part into inner part, face to face. 12. Sew the top side of surface part and inner part seperately. 13. Take it to the right side from the hole which we left in the 12th step. 14. The view of the right side. 15. Sew the hole with blind stitch. 16. Fold in half as shown, and then mark the center. 17. Sew the frame from the center to the end. Also another side. Finished. PS: This tutorial is mainly for the there-pieces frame bag. I didn't mention too much about the patching.